It was fate that led Jenny to her career in clay - whilst working as a television current affairs researcher in London, and seeking a necessary creative fix, Jenny happened to enrol on a ceramic evening course, and there began a love of that most elemental and wonderful of substances.....clay. 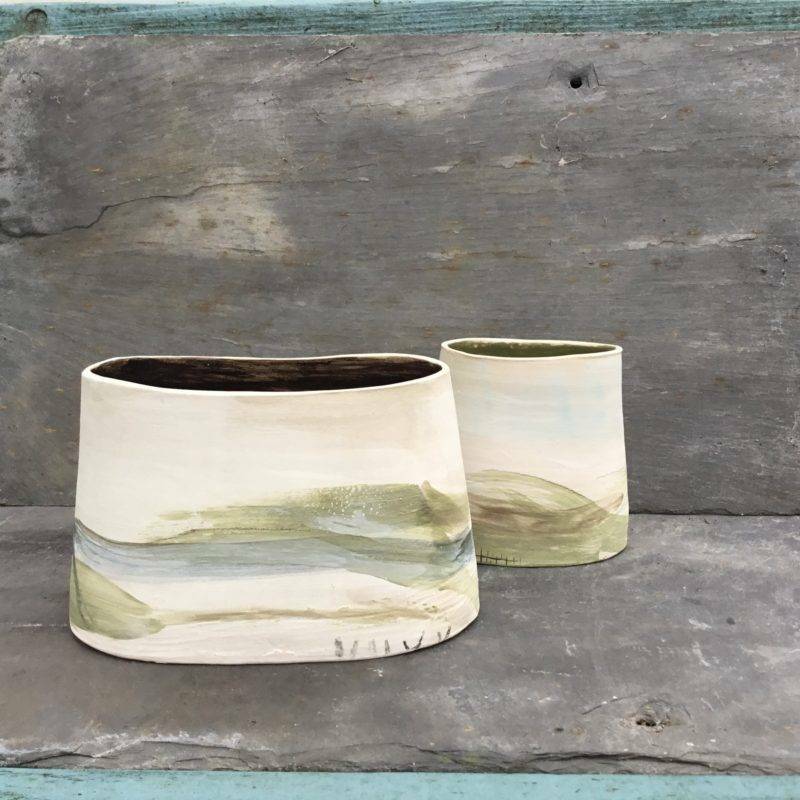 Jenny studied pottery at Putney Art College for a few years before life, marriage, family and a move to North Wales intervened. 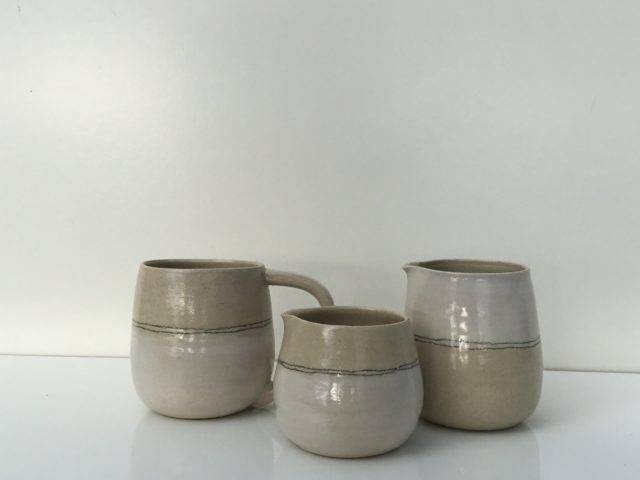 Thereafter Jenny established a pottery studio within her home, making predominantly wheel-thrown domestic ware. Living in the heart of the Clwydian Range, a designated Area of Outstanding Natural Beauty, Jenny draws inspiration from the landscape that surrounds her: the mountain farmland bordering Offa's Dyke, the heights of Moel Famau and Moel Arthur and the distant Mynydd Hiraethog. 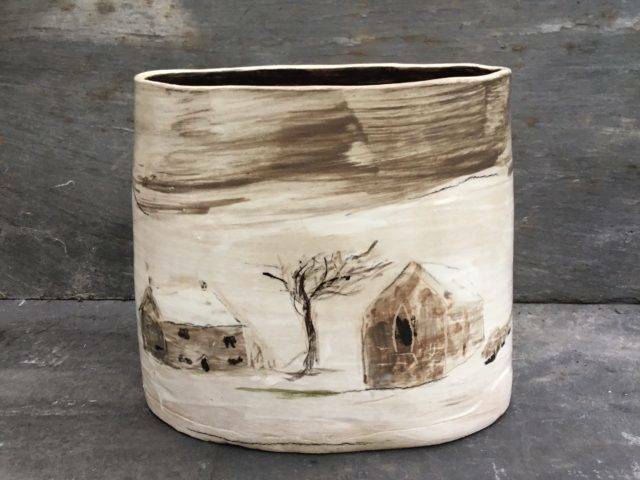 Her passions include the constantly changing Welsh weather and its effect on the landscape. 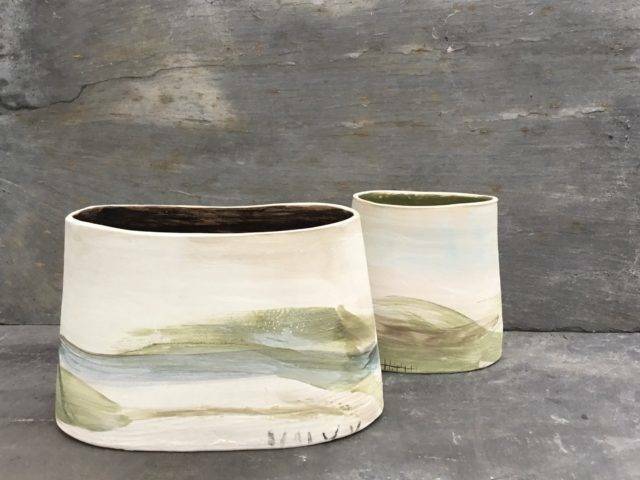 Her studio window looks out upon rolling hills, upland pastures and a patchwork of alternating heather, bracken and woodland. She has a deep love of nature and an hourly appreciation of how sun, light and cloud transform the most dour of winter days into something always interesting and frequently breathtaking. Jenny enjoys the process of throwing (physicality aside, finding it "almost" therapeutic!) 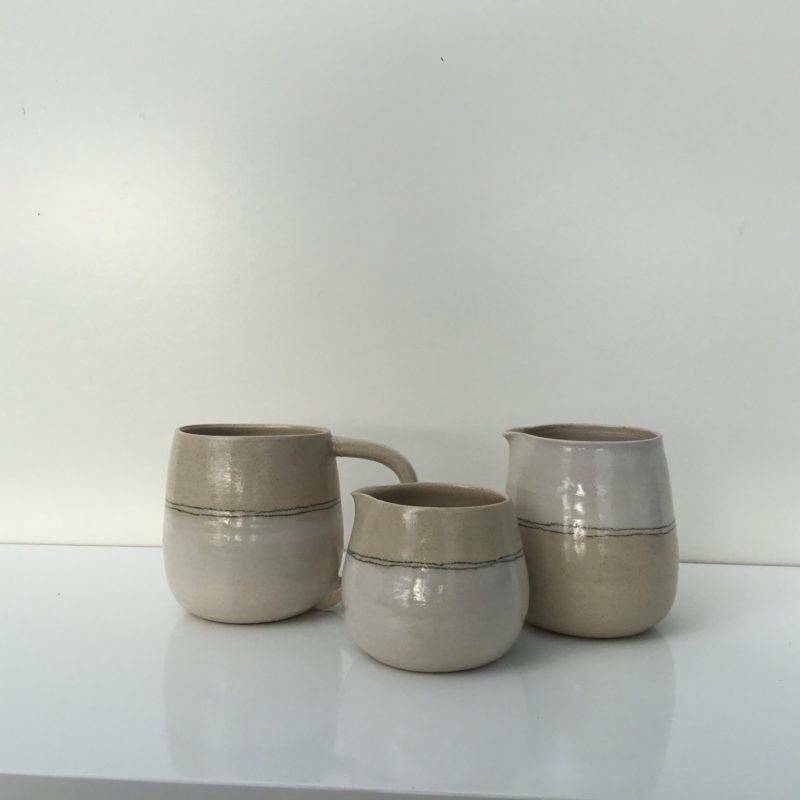 either earthenware, stoneware or porcelain clays. Each type has its own special qualities. 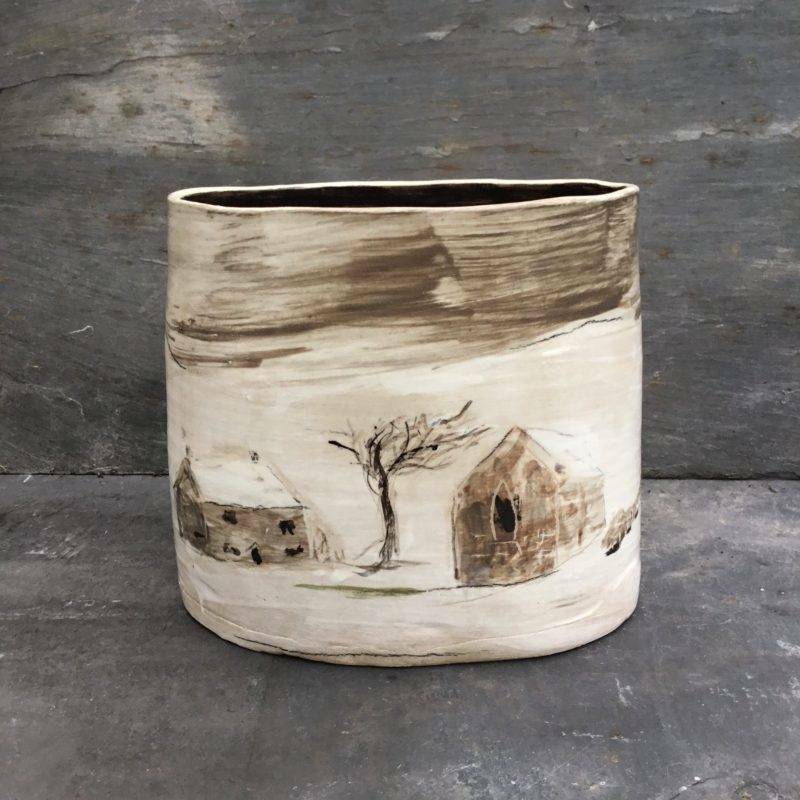 Jenny's style of decoration is understated; she uses the clay body to provide background colour, then employs coloured slip (liquid clay) and hand drawn decoration to give each and every piece a unique identity. Her aim is to mix decorative simplicity with spontaneity. 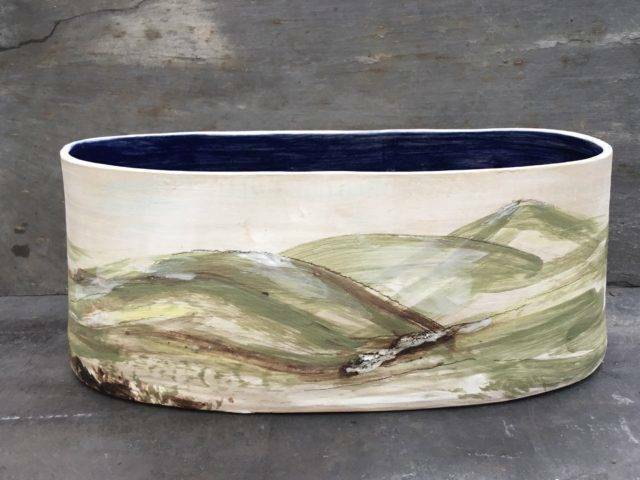 She does this through the use of hand-drawn lines or images, coloured with slip washes and oxides. Each piece is unique with its own individual feel. 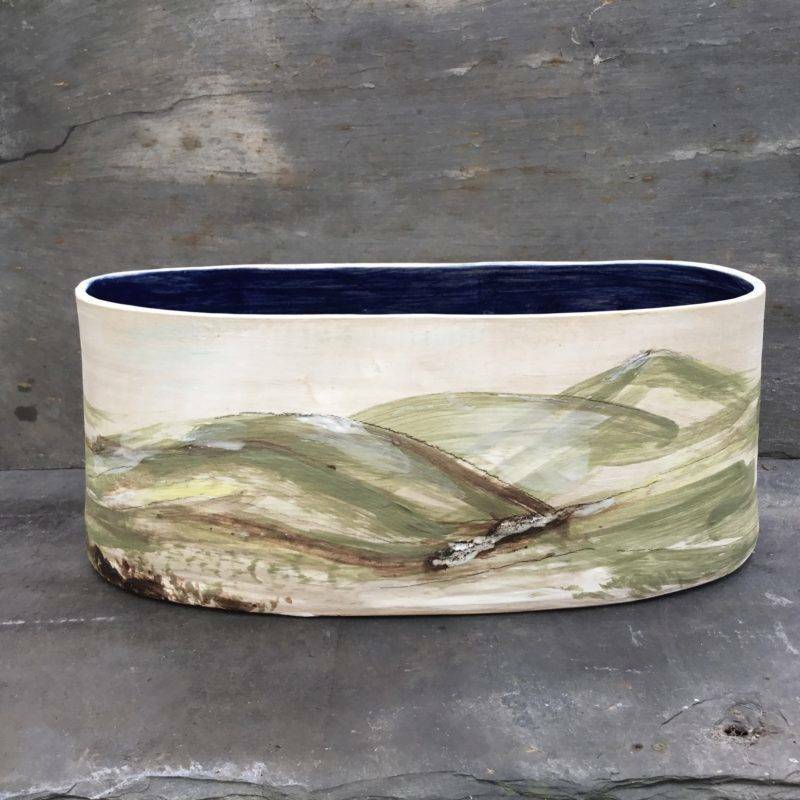 Jenny hopes that when purchased, her work becomes a treasured part of someone else's daily routine - to be quietly enjoyed!